The opening track on the album Nine Fine Lines has gone through many iterations and name changes since it was first composed as an instrumental in 2006. The instrumental’s working title was “Hermit” but with the addition of lyrics in 2007, it was renamed “33 Shots at Louis” as a sort of lighthearted counterpart to the heart-wrenching ballad “33 Flames for Mary”. The song was originally released on the now-defunct 2007 album Imaginary Lines II, featuring only Ric Albano on vocals, piano and bass and Ron Simasek on drums. In 2009 guitarist Erik Trabert added some layered lead guitars for the Imaginary Lines 33 release, creating the unique situation of a simultaneous guitar and piano lead over the song’s mid section. 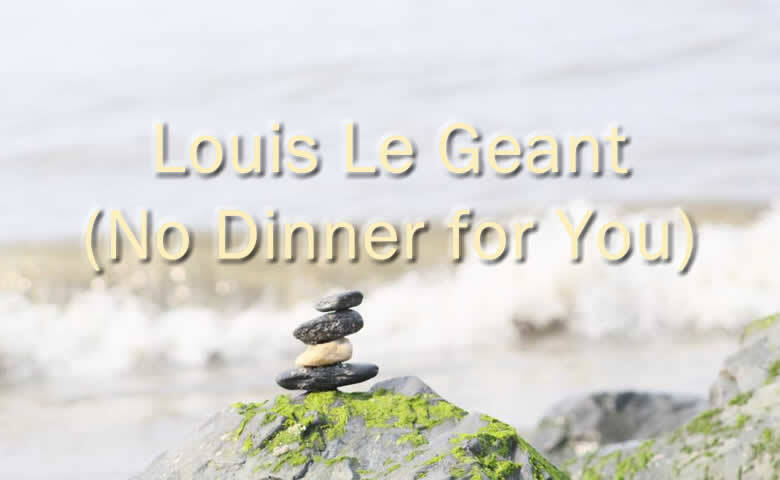 Finally, in 2018 new lead vocals were added with some slight lyrical changes and a new song title, “Louis Le Geant”, French for “Louis the Deadbeat”. And move on down the block to an inn? Why couldn’t you sit this one out? You’ve done enough damage to your kin! How can you now bathe in such shame? Was all that moral rabble just your game? Get out on your own!